This delicious Quaker Oats meatloaf recipe adds the taste and nutrition of oats to bind the ingredients together. It’s a very tasty variation on the classic meat loaf. Beat egg and add milk. Mix together. Pour over oatmeal and soak for 30 minutes. After oats have been soaked add the rest of the ingredients and mix well. Put into a loaf pan or form into a loaf and place on baking sheet. Bake for 35-45 minutes or until brown and crusty on the outside. This recipe can be cooked in the microwave, although I prefer it baked in the oven. 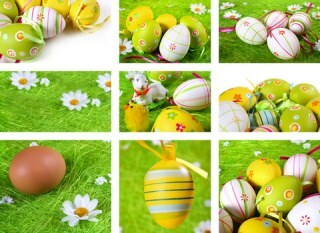 Place in a glass or other microwave safe baking dish (non metal) and cook on high for 16 to 20 minutes. Rotate every 5 to 7 minutes if your microwave does not rotate. Let loaf rest for 5 minutes before serving. 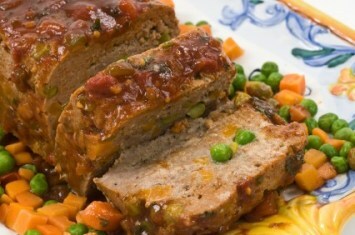 The top of the meatloaf can be covered with 1/2 cup tomato sauce or ketchup if desired for added flavor. Not only is this recipe a tasty one you can probably get the kids to eat, it’s also healthy. Oats are an extremely nutritious food and one of our 10 healthiest foods to eat. The addition of oats adds to this recipe being a good diabetic recipe. Oats have fiber and are extremely healthy for us. Find out why oats are so good for us here. All of our meat recipes can be found here. After tasting this meatloaf recipe, you’ll want to try more delicious and nutritious Quaker oats recipes. You’ll find them here.